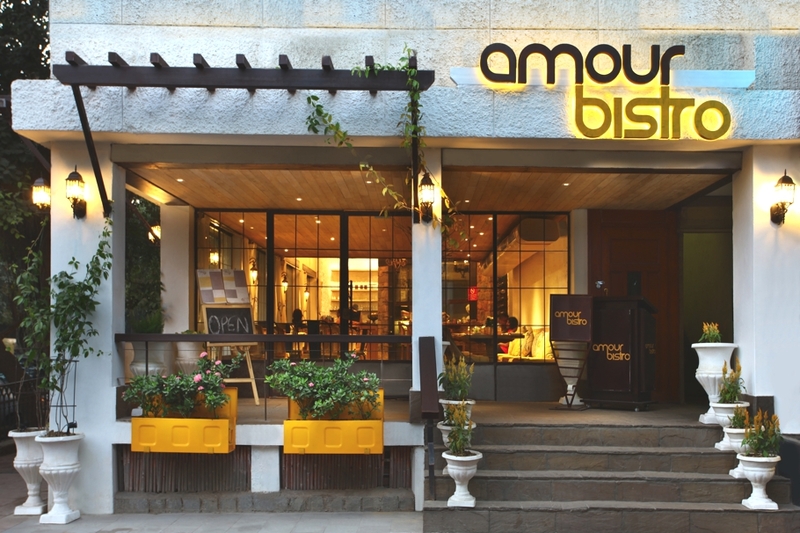 New Delhi-based design consultation practice DCA Architects has designed the Amour Bistro project. 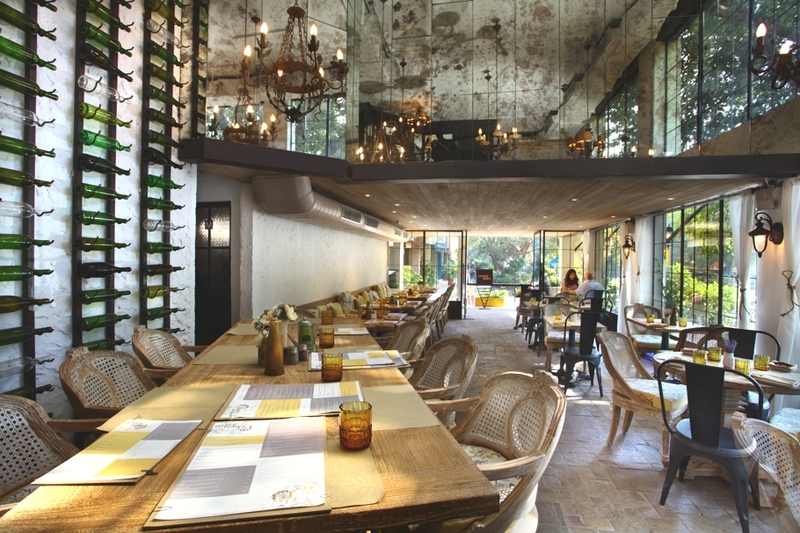 Completed in 2013, the contemporary restaurant is located on Malcha Marg in the heart of New Delhi, India. 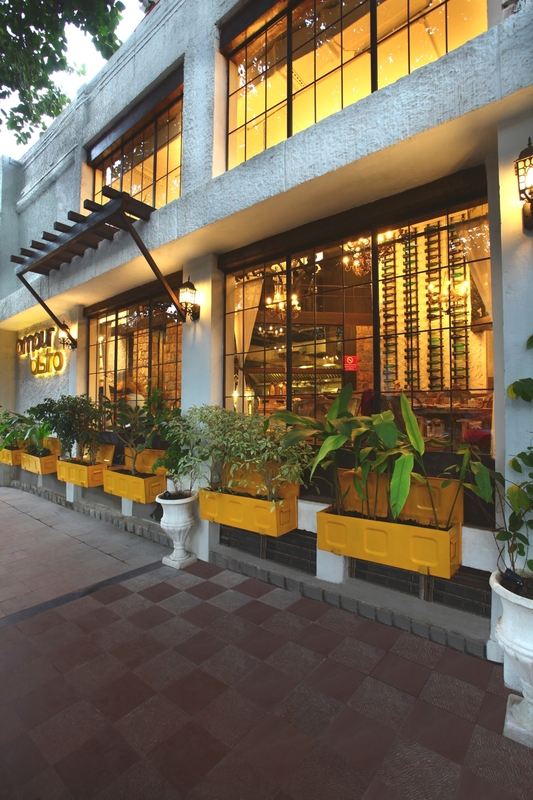 Set amidst the heart of New Delhi, Amour bistro is crafted with an intent of creating a native, effortless ambience that is unaffected by the surrounding urban chaos. 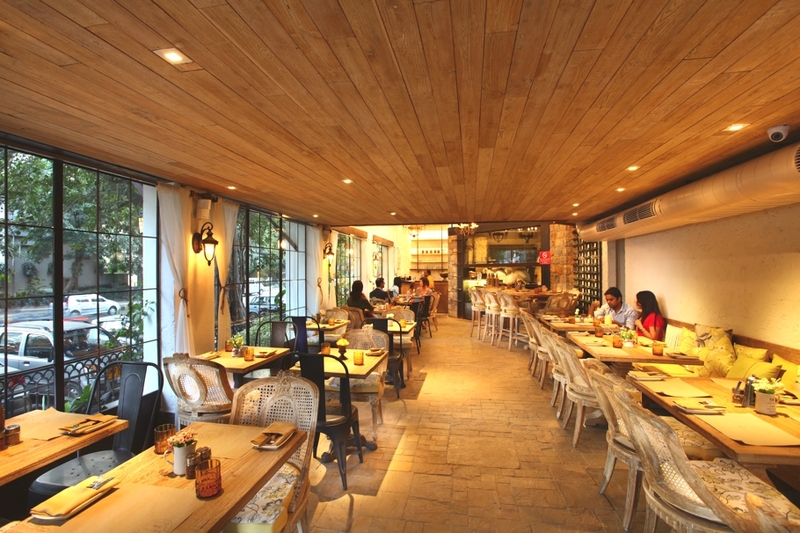 The restaurant‘s look is manifested through a wild mix of urban pulse and human warmth. According to the designers: “The design in general is based on simple and minimal elements and earthy tones giving purity and elegance to the space. 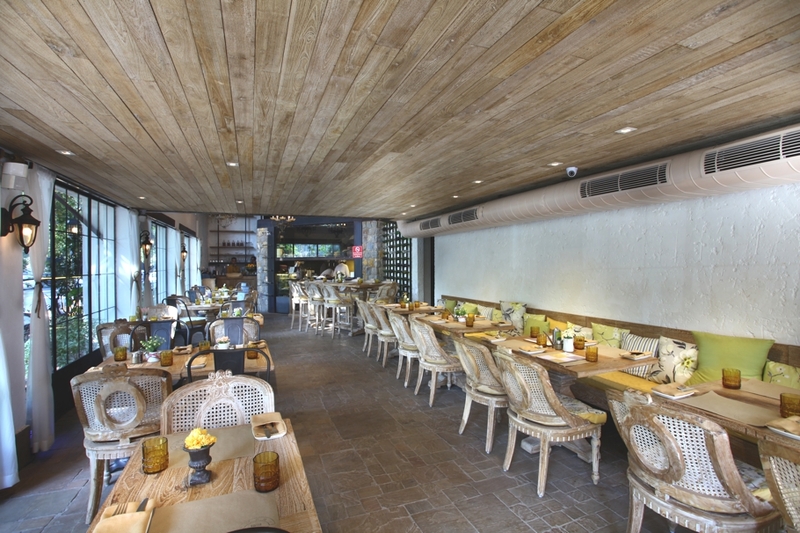 Amour is a balanced dialog between neutral colours translated in contemporaneity: yellow planter boxes, wooden trellis, tall windows, a stone wall , an antique mirror, paver tiles for flooring and wooden slatted ceiling. 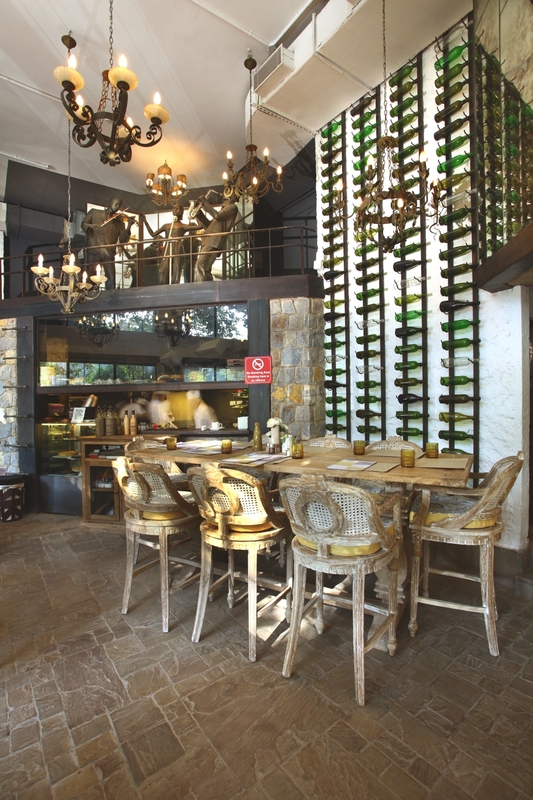 Walls become three‐dimensional through steel grooming, home to an excellent range of high‐end wines and their fabulous colors that attire the visitor eye. “The facade has undergone a major restructuration when opening new spaces to get the maximum permitted height from the building architecture. 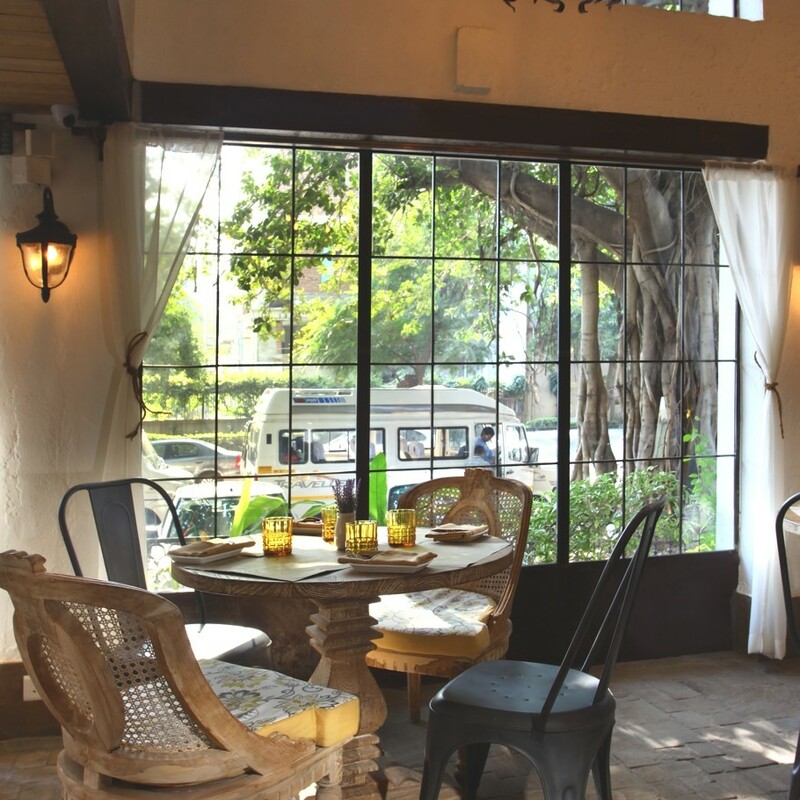 The maximised glazing acts as a layer only to let the premises function seamlessly through all seasons. Its interior design features open space philosophy, which successfully creates a natural and relaxed atmosphere in the indoor space. 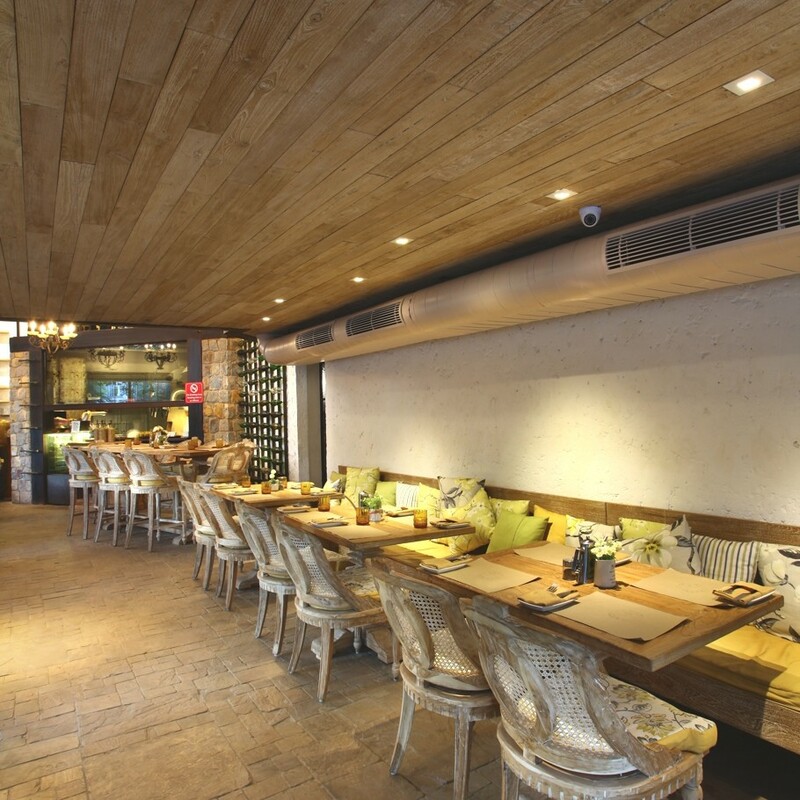 “The colour scheme extends, a relaxing dining space with black painted metal dining chairs, paired with sand blasted custom made chairs and bespoke‐designed wall lights. 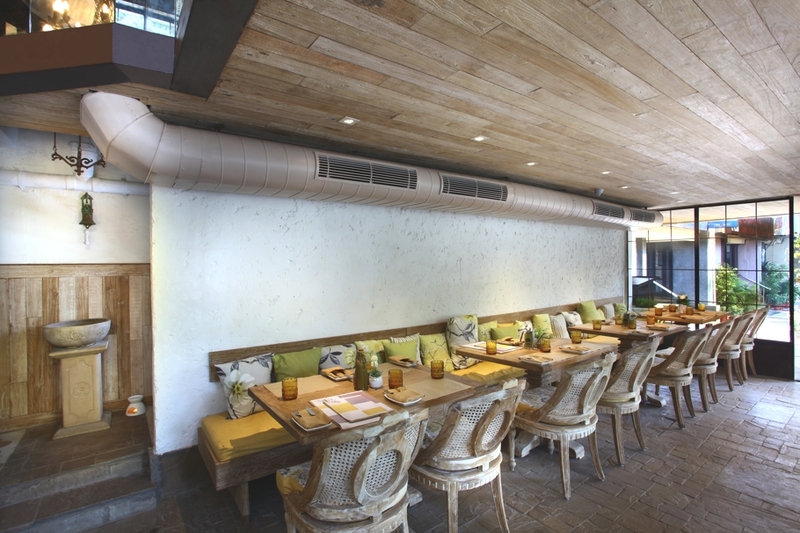 The furniture is made of fine materials inspired by a vintage‐style combined with a brick backdrop in white colour. 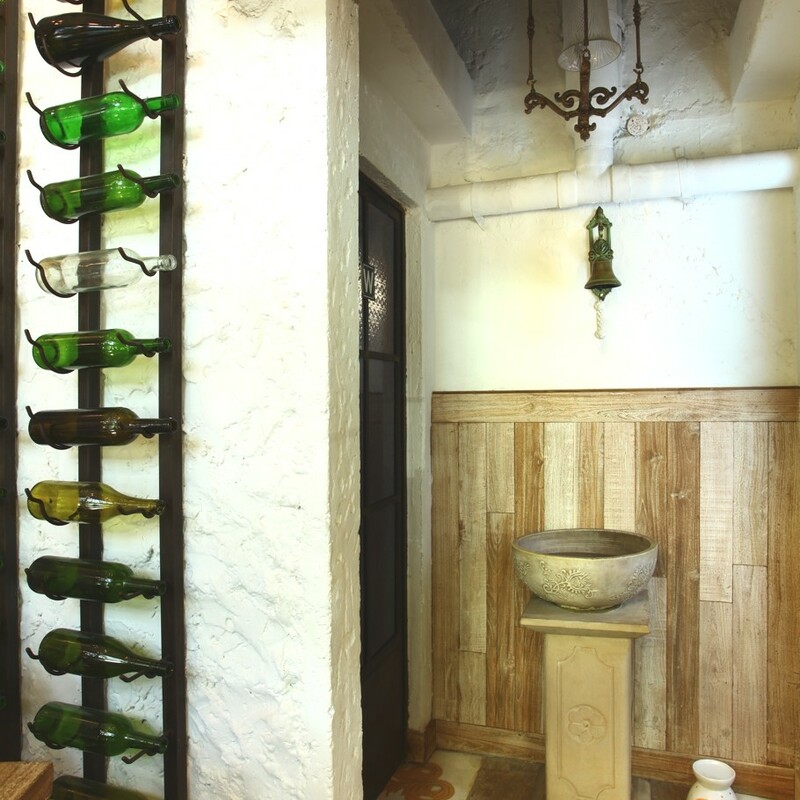 “The kitchen and rest room wall is ‘dressed’ in Delhi stone in its natural being ‐ handpicked by the designer and cut to perfection on site. 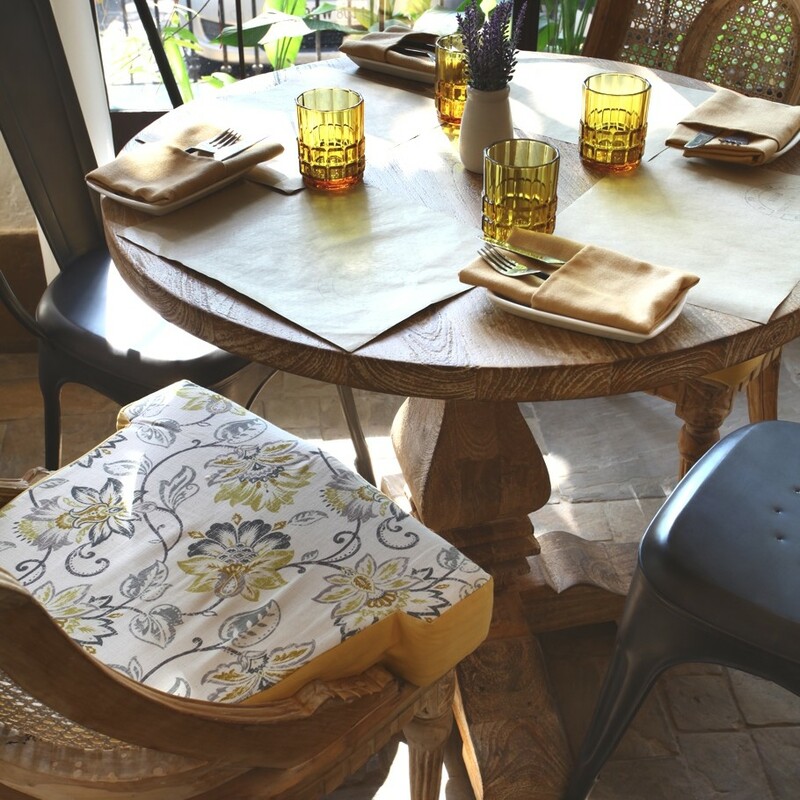 The floor is made of a paver tiles from Nitco which was chosen as the most appropriate material for the specific use and needs. 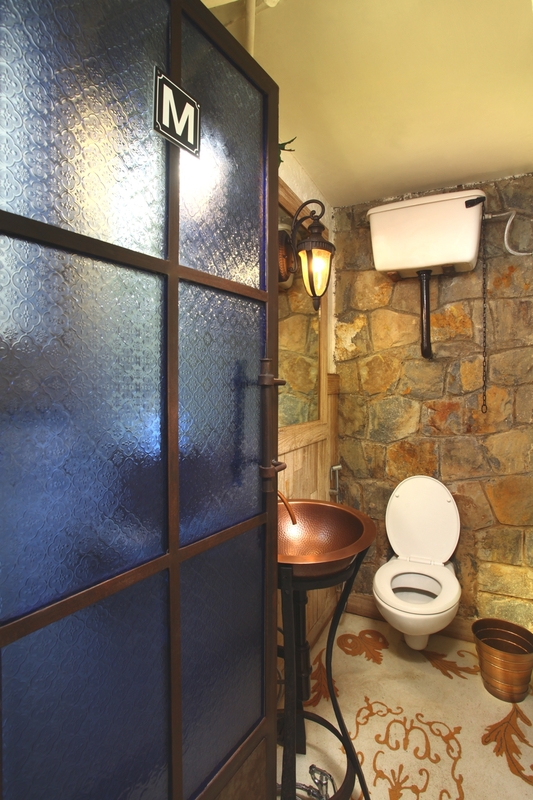 Last but not the least heightening the sense of luxe are the rest rooms , featuring brass inlay in marble, together with the vintage fixtures create a memorable experience. Cape Town-based architectural practice, SAOTA, has designed the Silver Bay project. 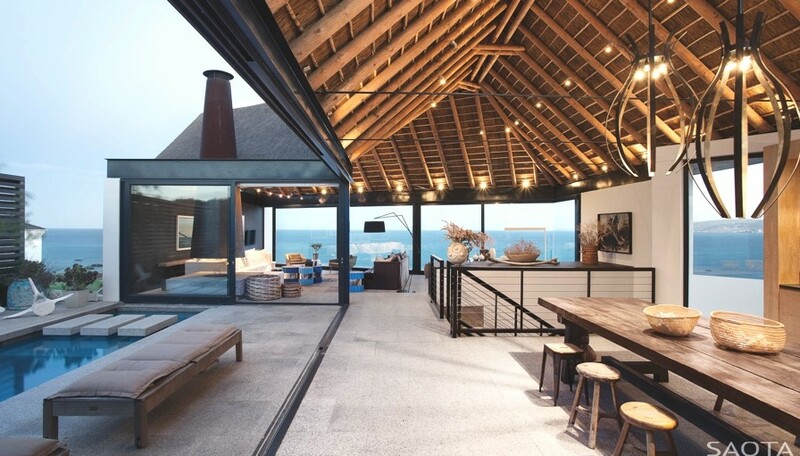 Completed in 2010, the luxury holiday home is located in Shelley Point, West Coast, South Africa and the home faces east over the bay looking towards the mountains behind the small Swartland town of Aurora. The definition of unique is “having no like or equal” and, finally, in this case, it is being applied correctly. 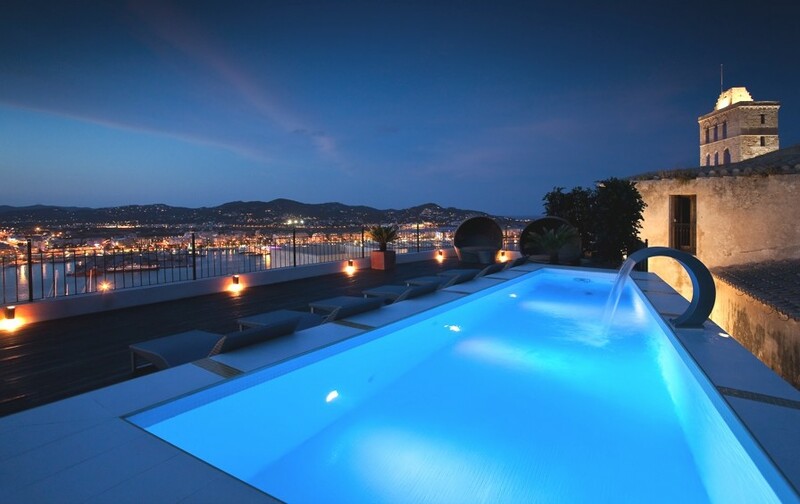 This manorial palace arranged over a total of five floors is set at the heart of Dalt Vila (Upper Town) in Ibiza Town, the Island’s capital.